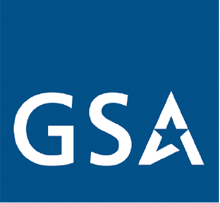 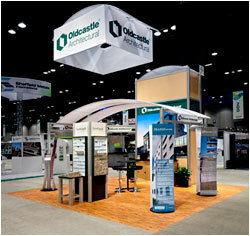 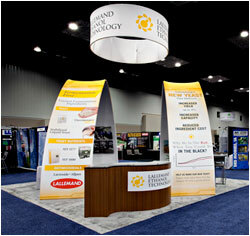 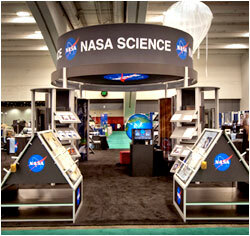 Save yourself time, money and stress with a stunning exhibit rental for your next trade show. 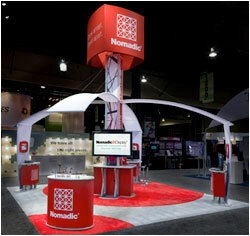 Nomadic Display produces budget boosting 20' display rental solutions that eliminate expenses associated with ownership. 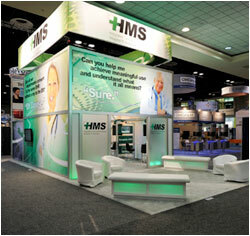 Stand head over shoulder above your competition with a commanding branded tower and provides hidden storage. 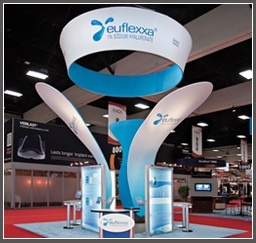 Draw your audience in with looping presentations on interactive display kiosks and an inviting theater presentation area. 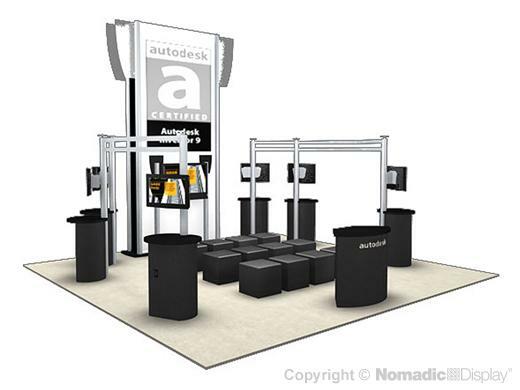 Our booth rental layout provides easy access from multiple entry points.